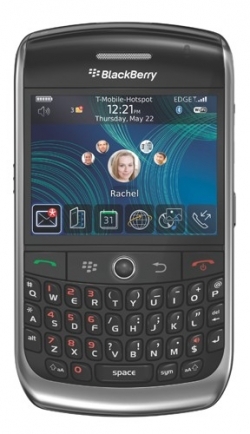 BlackBerry Curve 8900 coming to T-Mobile | BlackBerry Blast! T-Mobile is set to launch the BlackBerry Curve 8900. You can sign up to win a free Curve 8900 at the link below. The BlackBerry Curve 8900 has a 480 x 360 display and a 3.2 megapixel camera. It also includes WiFi. T-Mobile says, "It’s the sleekest, lightest, thinnest, full-QWERTY keyboard BlackBerry® ever."